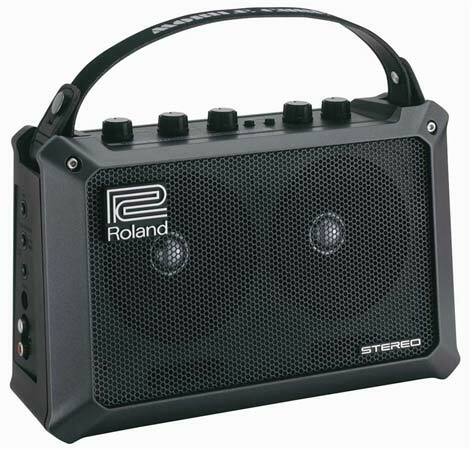 Shop Roland Mobile Cube Guitar Mini Stereo Amplifier from AMS with 0% Interest Payment Plans and Free Shipping. 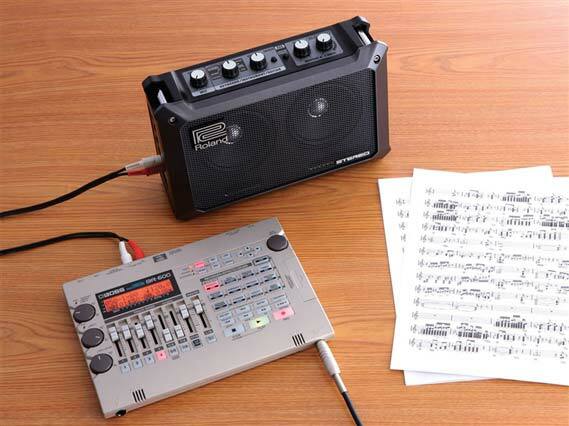 The Roland Mobile Cube Stereo Amplifier is small and mighty, able to handle all types of electronic instruments and audio devices, and can be used anywhere, anytime. Connect microphones, electric and acoustic guitars, keyboards, drum machines, MP3 players, you name it, and jam for up to 15 hours. At just 11-1/16 (W) x 4-1/4 (D) x 7 (H) inches, no larger than a briefcase, MOBILE CUBE is a traveler’s dream. Battery-powered, it can be operated anywhere — just plug in, turn on, and jam. Two high-performance speakers provide stereo sound that defies Mobile Cube’s physical size. 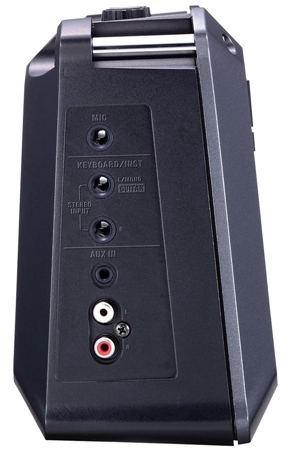 Thanks to its variety of inputs, Mobile Cube accommodates microphones, keyboards, acoustic guitars, electric guitars, MP3 players, and more; no other instrument amplifier of this size has a stereo input port. 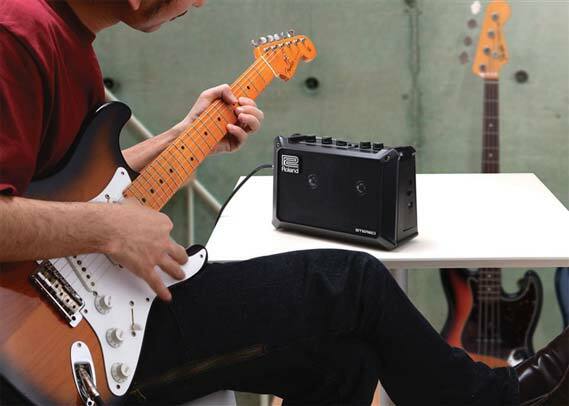 Use it as a practice amp at home, while traveling, indoors or out. 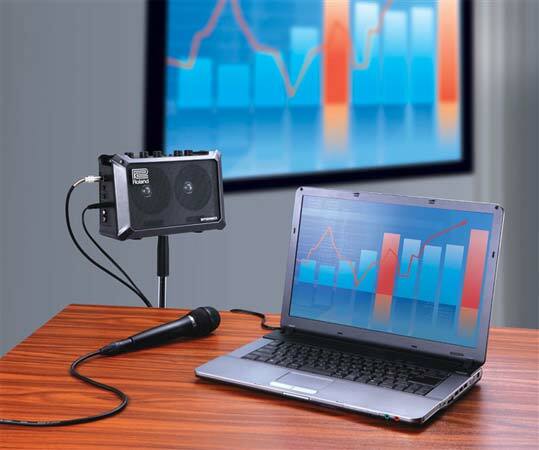 It’s great for parties, karaoke, and vocal lessons. 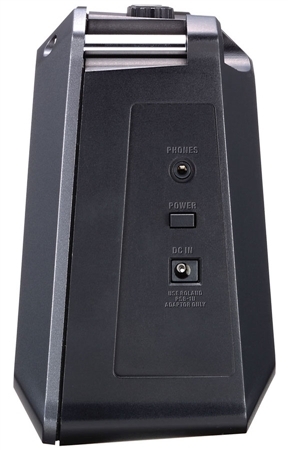 Connect it to a mic stand for use as a monitor speaker or micro PA. Loud and clear..My next door neighbor could hear my Acoustic as I played gently Dust in the wind..The effects are great, chorus, delay and reverv are perfect...I don't do gigs or street ...just play at home and at 1/4 level enough hear through out house (large farm home) Sit on your couch and Jam, is what I wanted..Ibanez acoustic and Ibanez Electric sound great thru it so Charvels and Epiphones...Love it...it does not disappoint in any way to me...Great product. Absolutely love this portable amp. Amazing and crystal clear sound. Thank you American Music Supply for always hooking it up!! Acoustic electric players dream amp. 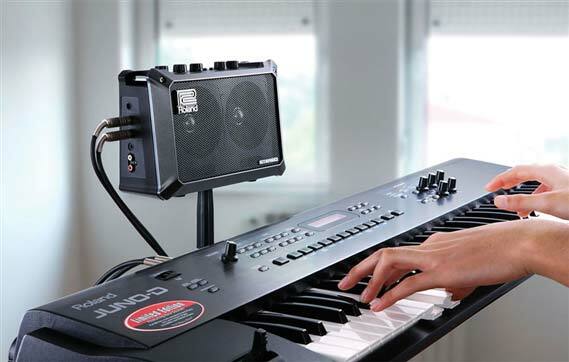 Put it on a stand , plug in your mic and acoustic electric guitar and play anywhere, 6 AA batteries last and last. Playing outside to 25 to 50 people is easy and fun. I have 2 Fenders, a Takamine, Ibanez Talman, and a B.C.Rich, acoustics. They all sound great thru it. 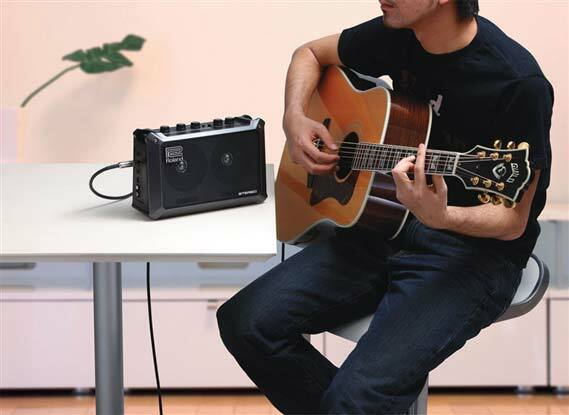 nice its portable - center channel cutout - and mic, mp4 player, and guitar at the same time! Really Great and u can go anywhere, I actually use at home alot to the clean tone is great really nice delay and reverb and the overdrive and distortion are Nice!!!! Sounds great, looks great and delivers a big sound for its size! Sounds great but wish it had more bass. Well made - typical of Roland quality, well made and robust. I have used it for 3 months as my bike stereo with an mp3 player. I wish they had this 10 years ago. This is the mini-PA which sounds great and is very loud. My friends tell me they can hear it 2 blocks away when Im listening to it while riding my bike. Very Portable as well. All of the connections make it perfect for a small space demo monitor. Great for house parties where presence is needed - but not too bass-y as to call the police... A pocket P.A. perfect for your laptop while practicing your axe. Good sound - as bass balanced as a box this size could be. It wouldn't be this portable if it had more bass... it would need larger amps and speakers. The effects are basic, but nice. If you like COSM sounds - you will like these. The case is hard plastic with a metal speaker grill. 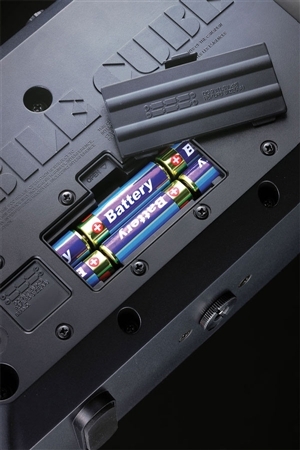 The connectors and control knobs are all solidly mounted to the case. I would avoid dropping it on concrete, but wouldn't worry so much on carpet. It was plug and play right out of the box. It has a small flanged bit for tripod mounting that screws into a mic-stand flange. So 2 ways to put it on a stand.